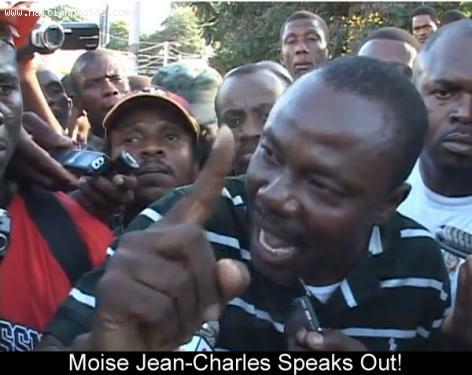 Dapre Moise Jean Charles ki yon Kandida pou prezidan ak manm nan G8 la, Osi lontan ke Jovenel Moïse rete nan ras la ou ka bliye zafè eleksyon ane sa a. Pou eleksyon posib 27 Desanm , pa sèlman Jovenel Moise dwe soti nan konpetisyon an, men tou plizyè konseye elektoral ak chanjman nan gouvènman an. Kandida anba banyè "pitit Dessalin" lan di sèlman apre yo fin fè chanjman sa yo ke nou ca kòmanse pale osijè eleksyon. Jean-Charles Moïse (48) is a presidential candidate from his own Platfom Pitit Desalin. In the last October 25, 2015 election, he came third with 14.27% (229,109) votes, after Jovenel Moïse (PHTK) and Jude Celestin (LAPEH). This former Senator from the North and three times Mayor of Milot with a swell of public support is facing an uphill climb against the machinery of Martelly administration and electoral apparatus funded by the international community. During his election campaign, he has promised if he wins the election, he will work on food self-sufficiency and make significant changes in the health sector. PetroCaribe fund will be used, giving priority to road infrastructure, schools and universities and professional centers. Adequate public housing programs will be made for teachers and police officers. The PHTK is on the way to put their candidate Jovenel Moise at the National Palace in February. They have invested heavily and at this point they have everything necessary to win the upcoming presidential election in Haiti. Whether legally, through fraud or with force, PHTK Political machine is well oiled and in motion to win. People like Maryse Narcisse, Moise Jean Charles or Jude Celestin do not really represent obstacles to this heavy political machine and no matter what strategy these three use, it will not stop PHTK machine. Let's take the case of Maryse Narcisse for instance who has decided to contest the last election results. She is likely to go no where with her efforts because the authorities in charge of the election process, the CEP, may not have clean hands in all that. 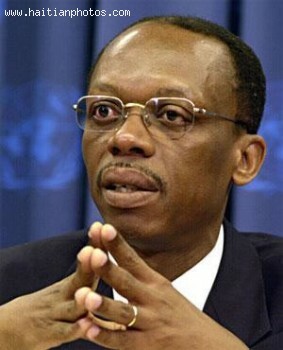 On the same night of the election results, the presidential candidate under the banner of the Organization of People in Struggle (OPL), Sauveur Pierre Etienne, was one of the first candidates to accept the election results as published by the CEP. He went on to immediately declare his support in the second round to his friend Jude Celestin. That would have been fine under normal Circumstance and if he did not take a different position regarding the election just days ago. 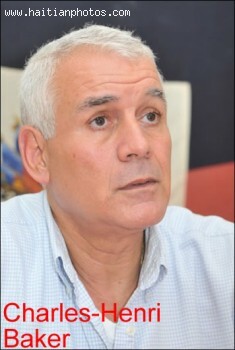 Sauveur Pierre Etienne was leading a group of seven political parties who were demanding the formation of an independent entity to investigate allegation of election fraud. He named a Spanish Company "SOLAR" which was responsible for the fraud in favor of the PHTK candidate. He also managed to obtain the signatures of several candidates such as Jude Celestin, Samuel Madistin, Eric jean Baptiste, Jean Henry Ceant, and others in his scam. The agro-industrial, former member of the Group of 184 (G 184), three times presidential candidate Charles Henri Baker feels that the Haitian electorate doesn't trust him and that his chance to become president will may never happen. Consequently, he has announced that he will no longer run for the presidency of Haiti. in 2005, Charles Henri Baker and his Respè coalition received 8.24 percent of the vote. President Rene Preval was elected that year for 5 years. In 2010 he ran again but was not in favorable position to win. His latest attempt was the last election when he once again came up short. Haitian musician, Freshla, wants to shake up the establishment with his music, Raboday. A high-profile music producer also, he is playing a role in this month's Parliamentary elections. Music critic, Susana Ferreira, who writes for BuzzFeed and profiled Freshla in the e-magazine, comments on various interpretations of Freshla's current hit, "Kite Ti Pati'm Kanpe". She says a couple of meanings translate from Creole as ". . . let my little party stand", or don't mess with ". . . my piece of the pie". Freshla, reigning King of Raboday, heads Vwadezil, which performs a new genre of pop music. Using elements of electronic music, voodoo beats, and rah-rah, its synthesis began in the streets. Haitian youth love Raboday mainly for its beats, but also because it strikes back at the status quo and criticizes the current political climate. 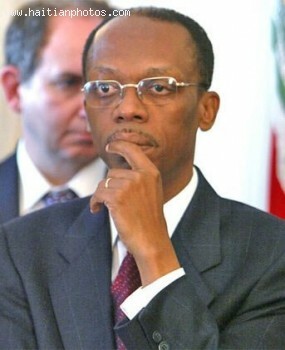 'Vérité', the political party of the former Haitian President René Préval has lodged complaints along with other political parties on the legitimacy of Haitian first lady's candidacy for the Senate. 'Vérité', like other political parties, has filed the objection at the department level and would take the matter to the National Electoral Office of Disputes (BCEN), as the report of Sentinel dated May 4, 2015 suggests. The primary source about learning Preval's lodging complaint, was a journalist from 'La Matin'. The First Lady Sophia Saint Remy Martelly was born in New York, USA on October 9, 1965. She submitted her nomination on behalf of her husband's center-right liberal "Tèt Kale Party (PHTK) on the final day. The heaps of complaints that have been lodged against the validity of her candidacy, were mainly based on the provisions of the Article 96 (1) of the Haitian constitution and that reads like that......" To be elected to the Senate, a person must be a native born Haitian and never have renounced his nationality". The first lady renounced her Haitian citizenship in 1989 because then she used to spend more time in the U.S and before 2011, dual citizenship was not permitted in the Haitian constitution. 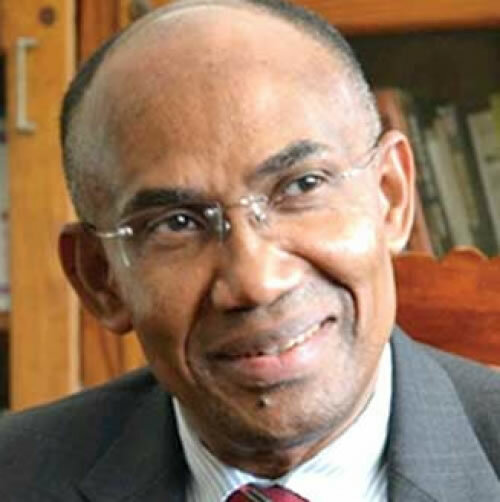 However, Gregory Mayard Paul, the lawyer of Martelly Presidency has submitted a Certificate of Loss of Citizenship of the United States of America with a date one year earlier and that states that on March 31, 2014, the first lady had requested for the expatriation of her American citizenship. "Vérité", a political party of the former President René Préval, has placed itself among the complainants to object the candidacy of the First Haitian Lady Sophia Saint Remy Martelly, for the Senate of the Haitian Republic. President Preval is an experienced politician who had confronted a number difficult situations and he is the only president in the country who has completed two terms as the President of the nation. Even there were some instances in the past when President Martelly sought advice from him. This news of filing Preval's objection was revealed by a Le Matin journalist, Walter Cameau. A political coalition that turned into a political party, the Popular Patriotic Dessalinien Movement (MOPOD), has announced two of its important nominations for the upcoming election, in the last week of March. On Wednesday, March 25, the party announced the intention of Samuel Madistin, a newcomer to the party to seek party's nomination and on Friday, March 27, there was another announcement for the former First Lady Mirlande H. Manigat (during February 7, 1988 - June 20, 1988). On March 26, 2015, the Patriotic Movement of the Democratic Opposition (MOPOD), a coalition of opposition political parties, changed its name to "the Popular Patriotic Dessalinien Movement" while maintaining its earlier acronym MOPOD to reflect a change from an opposition struggle to an opposition movement. Earlier, the coalition had led many opposition protests and even the present Prime Minister Evans Paul was once a member of the group.